Most people reading this will know that the Volvo Ocean Race 2014-15 is coming to Newport, Rhode Island in early May. For 12 days, from May 5 to the start of the transtlantic leg to Lisbon on May 17, the Race Village will be open at Fort Adams State Park. To the majority of sailors/spectators, the VOR is a sailboat race, albeit a grueling circumnavigation, often at hair-on-fire speeds. But behind the scenes, the VOR is big money in action. The awarding of the North American stopover to Newport was the culmination of eight years of work by a consortium of Rhode Islanders from across the spectrum, including the State in various guises, the city of Newport, the sailing community at large and in particular Sail Newport in the person of Brad Read, its Executive Director and now the Host Port Committee Chairman. Awarding is the word since various cities bid to be selected as the host city, and in the case of (relatively small) Newport the potential financial impact is great. Previous VOR stopovers in the U.S. have been Miami, Boston and Baltimore, but really, nothing says sailing in much of the world like Newport, Rhode Island. One question for the VOR folks was the ability of Newport to cater to top-level executives who may in fact not know anything about sailing, hence the previous stops in more conventional larger cities. But as in sailing, nay life itself, enthusiasm and excitement about something can generate its own inertia. Tom Kirk is the past President of Sail Newport, a member of the Sail Newport Board, and on the organizing committee for the VOR Host Port stopover. He tells the tale of a corporate executive connected with the VOR who was flying out of Providence after meetings in Newport. The TSA officer saw this fellow’s VOR jacket and remarked, “Hey, you guys bring the race to Newport, it would be great…” You know that did not happen in the other cities. For Newport and the State of Rhode Island, having the international spotlight trained on Newport for the stopover and the influx of visitors, corporate types and their clients, mates and families is projected to be a huge boost to the local economy. And since the event is in early May it’s an add-on to the season, not an overflow as it might be in July. Sail Newport was started in the wake of the America’s Cup loss in 1983, with the mission to expand sailing. It has grown to be one of the finest sailing centers of its type in the country. Over the last 15-plus years, Brad Read and his Sail Newport team have gotten thousands of people, from kids to older adults, out sailing annually, and host upwards of 10-15 regattas from local to world championship level every year. There was, and is, more than enough experience in that group to produce anything with ‘sailing’ in the title. The discussions for a Newport stopover started in earnest with the entry of PUMA, skippered by the “other” Read, Kenny, in the VOR 2008-9. Their repeat appearance in the next edition in 2011-12 with the stopover in Miami increased the excitement in, and work towards, getting a stopover in Newport. And frankly I cannot imagine being in a room with Kenny, talking sailing and not having Newport come up. As that edition of the VOR was finishing, Sail Newport and Rhode Island were hosting the America’s Cup World Series, with great success. Upward of 60,000 people came to Newport and Fort Adams over the week of AC45 racing. The State commissioned a post-event survey that reports the AC World Series generated on the order of 30 million dollars’ worth of business around town and was by any measure a resounding success. The successful execution of such a world-class event was definitely a tick in the “can do big events” column for Sail Newport and Rhode Island. 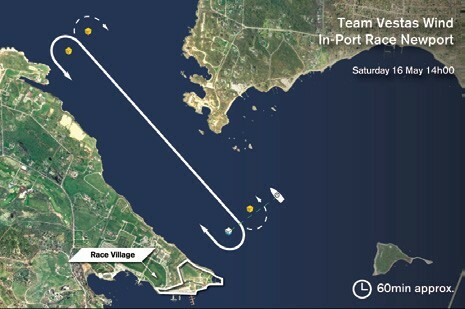 After the finish of the 2011/12 edition of the VOR, “The Pitch” went into top gear. Sail Newport was the lead entity, with the support of the State Legislature, the Governor’s office, the Department of Environmental Management, the Economic Development office folks, local businesses, the local Newport sailing community leadership and virtually anyone with a connection to sailing. The Bid was submitted in December 2012, and the stopover awarded in February 2013, from which point it has been full-on in Newport. The work that the VOR team and their own sponsors and the team sponsors put into a stopover dwarfs the efforts of the sailors. Each team’s sponsoring company (or country, in two cases) has facilities for hosting and entertaining their guests. There are myriad activities for visitors to experience, many of them aimed at young people and non-sailors. Unlike the America’s Cup World Series, the public will be able to get up close and personal with the boats – they will be stern-to on the new pier at the north end of Fort Adams. They will be able to visit the rigging, boat repair and sail making facilities and see just what makes these boats tick. Given that sailors are the only people who really see what the ocean’s environment is like, there is a huge section of the Race Village focusing on sustainability, ocean environment, recycling and related environmental activities and information. Schools can organize road trips to the Village and get thoroughly immersed in all aspects of sailing and the ocean. This event is huge, with a capital H, in Europe and increasingly in parts of Southeast Asia (aka China), so the marketing efforts the teams’ sponsors are putting into this race is equally huge. Tom Kirk tells me the sponsors booked huge swaths of hotel rooms as soon as Newport was announced as the stopover port. There are “cottages” to be rented, restaurants to be dined at, shops to be, well, shopped at, and so on. Sailing is commonly seen as “lots of money” and in the case of the VOR Host Ports this looks to be true, with lots of it staying on the ground in Newport after the fleet departs for Europe. Newport has a long history of big events, glamorous events, money, sailing, and – especially after the AC World Series – economic gains tied to sailing. Newport is one of the iconic sailing ports in the world, arguably much more so than Baltimore, Boston and Miami. That we can host a big-time worldwide event successfully was no news to the locals. Perhaps the departing visitor was in fact a decision maker in the selection of Newport, and was swayed by the TSA officer. I don’t know. But really, can you imagine being the guy tasked with telling Kenny and Brad Read, “No, Newport doesn’t make the cut” for a sailing event?